AVG AntiVirus for Android provides its consumers with reliable protection for Android phone or tablet. AVG AntiVirus safeguards against malware, viruses, thieves, and snoops. 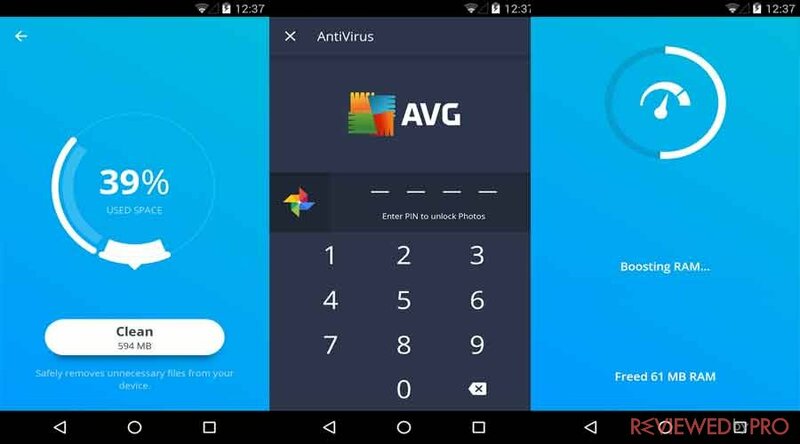 AVG Antivirus for Android offers protection, performance, Anti-theft, and privacy features that ensures complete protection of your Android device. 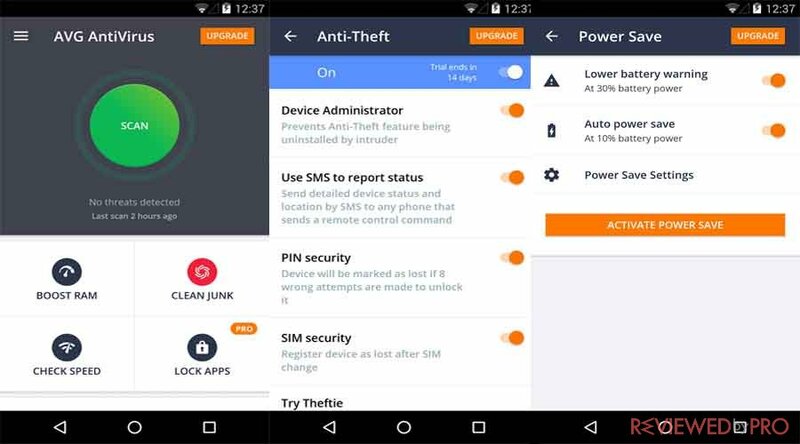 What does AVG AntiVirus for Android offer? AVG AntiVirus provides powerful mobile security that was downloaded over 100 million times. AVG AntiVirus was the first antivirus application on the Google Play online store that was downloaded over 100 million downloads and protects Android phones and tablets worldwide. AVG AntiVirus runs silently in the background to secure the device from viruses, malware, spyware and other unsafe applications and their settings, annoying calls and spam, and other cyber threats targeting Android devices. If your device gets lost or AVG AntiVirus will allow you to remotely find and lock it through the AVG Anti-Theft website. You can simply log in to the Anti-Theft website from another device and locate and track your Android device on Google maps. The antivirus also enables users to remotely lock the device and blast an alarm at full volume. What is more, if you think that your device is gone for good you can remotely wipe it in order to prevent to prevent third parties from accessing your important files and information. AVG Antivirus allows users to lock down important applications with a pin code so you can prevent third parties from snooping on your private files, pictures, messages, documents and more. App Lock also enables you to lock potentially sensitive social media apps, and messaging apps, such as Facebook, Instagram, WhatsApp and more. AVG AntiVirus enables users to see who has used your phone. If anyone fails three times to unlock the device, AVG AntiVirus will take a photo secretly and email it to you with the time and location of the incident. AVG Antivirus monitors your battery consumption in order to optimize and save power, as well as stops unnecessary tasks and processes in order to help bust device’s speed. It also optimizes storage space, including internal space and SD card. Finally, bu using AVG AntiVirus you can keep simply track of your mobile data plan usage. AVG AntiVirus requires Device Administrator permission, that allows to remotely lock and wipe your smartphone or tablet from AVG website. The security application also uses Accessibility permission and protects visually impaired and other users against malicious websites that include dangerous and suspicious URLs, phishing attacks and even more. 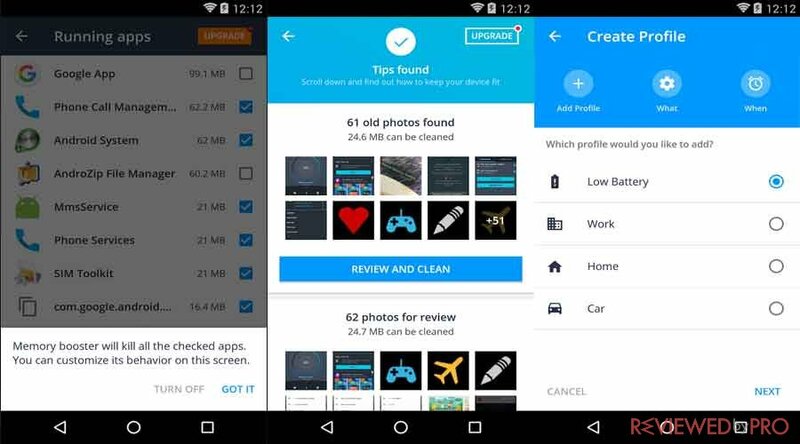 AVG Cleaner for Android cleans up your phone to get more space, speed, and longer battery life for your phone or tablet. 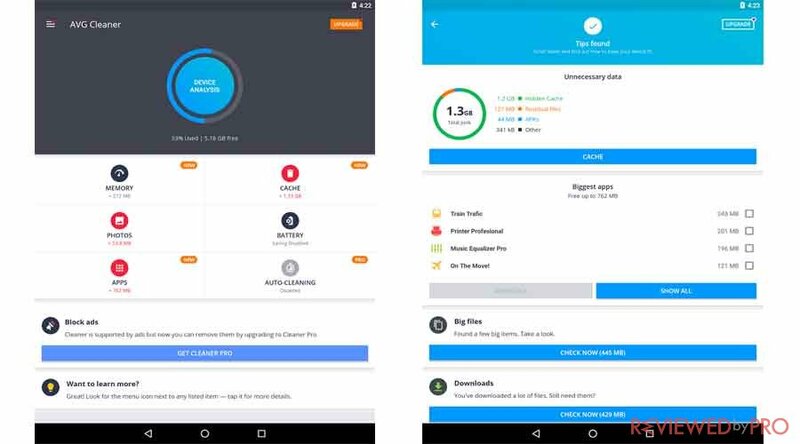 What does AVG Cleaner for Android offer? AVG Cleaner new design makes cleaning even faster. By clicking the “Analyze” button you will be provided with simple, one-page summary of hidden junk, including bad pictures, battery-sapping apps, and more. AVG Cleaner automatically finds your bad quality and similar photos. AVG Cleaner allows you to detect blurry, poorly lit, or nearly identical photos and delete as many you would like to tidy up and save space. In addition, if AVG Cleaner is not sure about some of your photos, the software will notify you and ask if you want to review them. What is more, the more you use AVG Cleaner, the more it learns, and the scans will be more effective in the future. AVG Cleaner helps you to free up space for more applications and media. AVG Cleaner removes hidden clutter, apps that you don’t use, calling history, largest files, and more in order to free up space for even more applications, music, and more. AVG Cleaner enables you to increase your battery life by turning off your device’s more battery-hungry features with a single tap. In addition, if you go PRO your phone will switch on or off settings as required automatically. 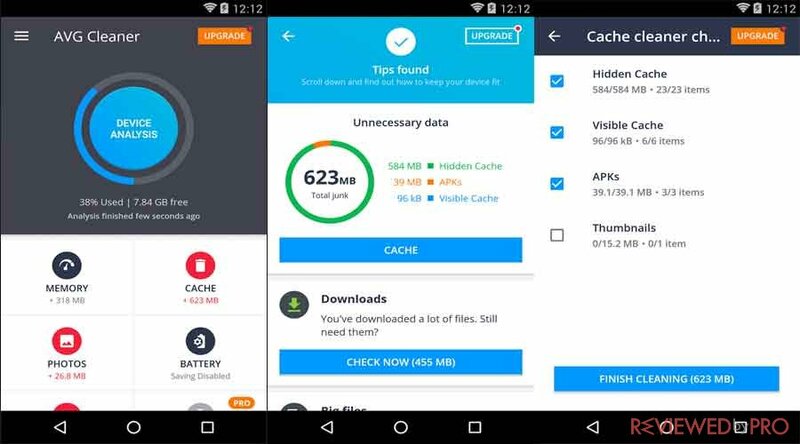 AVG Cleaner enables users to quickly see all of the out-of-control applications, so you will be informed about apps that are draining your battery, storage, and mobile data the most. Further, users can decide what apps are worth keeping. AVG Cleaner offers you to turn on Auto Clean Reminders, and automatically find the clutter for users and let them use the software from a simple reminder in the notification panel of your Android device. AVG Cleaner for Android also includes Pro features for 30 days completely for free. AVG also offers Express Install services that install, set up and optimize your AVG products according to your needs. How does AVG Express Install work? Firstly, place your order by clicking “Buy Now” at AVG website. Then, check the email that links you to start a secure remote connection. Finally, relax. AVG will remotely install and set up your software for you. If you are dealing with some kind of software issue, AVG experts are available and ready to help you 24/7, 365 days a year. AVG also offers its customers a live online chat or toll-free number to speak with one of AVG experts. The service is available in English only. AVG Antivirus for Android and AVG Cleaner was developed by AVG Technologies. The company is based the Czech Republic and the Netherlands. Since 1991 AVG Technologies provides individual consumers and businesses security software and services that they can rely on. Today the company offers one of the widest security products assortment in the market. In 2016 AVG is a subsidiary of Avast Software. AVG offers users free and paid security, performance and privacy solutions and services for PC, Mac, and Android devices. The security includes AVG AntiVirus, AVG TuneUp, AVG Internet Security, AVG Express Install, AVG Antivirus for Android, AVG Cleaner and more. ^ AVG Antivirus for Android. AVG. ^ AVG Cleaner for Android. AVG. ^ AVG Express Install. AVG. 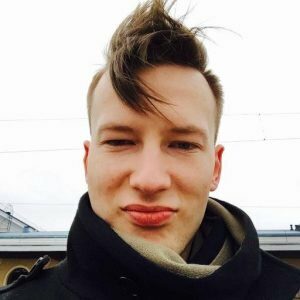 This entry was posted on 2018-01-25 at 07:51 and is filed under News.